Data and Process Resource Management Resource and Business Cycles Module . Discover and Master the Most Important Formulas, Functions, Tips, & Tricks in Excel! 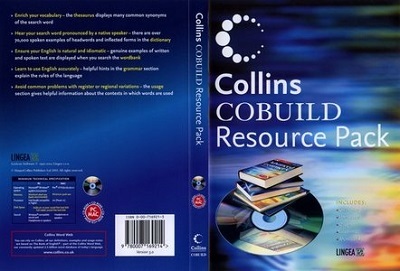 Collins COBUILD Resource Pack comes with Collins COBUILD Advanced Learner's English Dictionary for Advanced Learners, Word Bank of 5 million words of authentic text samples (written and spoken) from the Bank of English corpus, Collins COBUILD Guide to English Usage, Collins COBUILD English Grammar and Thesaurus containing over 130,000 synonyms. Collins COBUILD Advanced Learner's English Dictionary offers detailed treatment of today's language.